For the fifth day under Condiments, I have a garam masala from the Arabian cuisine. To be very very frank, I am not sure what this Whole spice mix called as. When our family friend who lives in Dubai, visited us, she got us two packets of this whole spice masala packet that she said she always gifts her family folks as well. 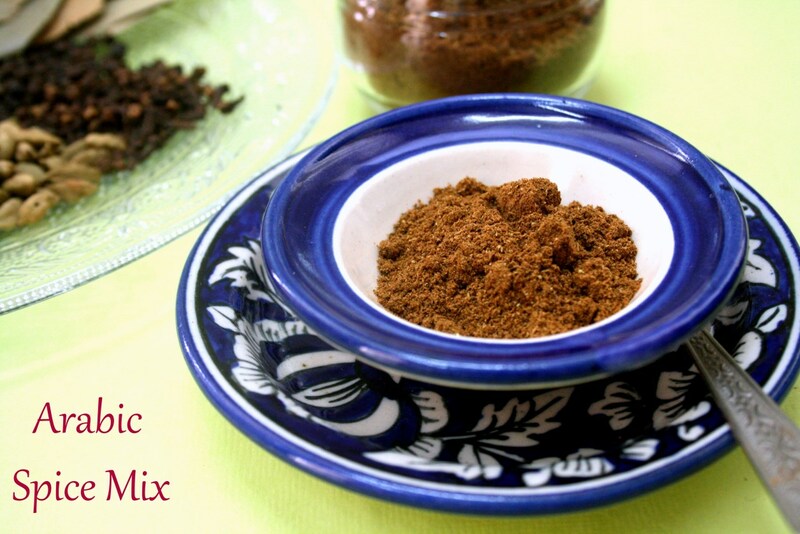 This spice mix was such a hit that some even measured the exact quantity of each ingredient, so that they could mix it themselves once they exhaust this stock. Which is what I did exactly. I measured each ingredient and noted it down here. 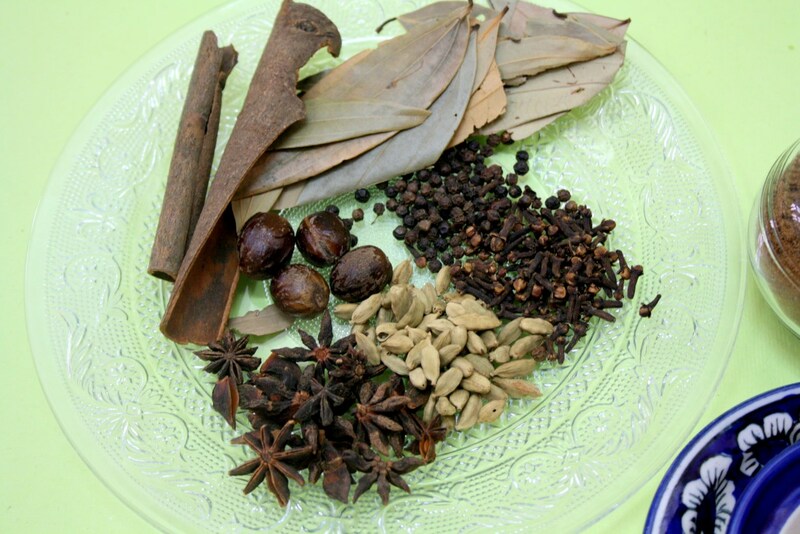 We have been using this spice blend in many dishes like biryanis, gravies and even kababs. We made a Rajma Kabab that was so delicious. 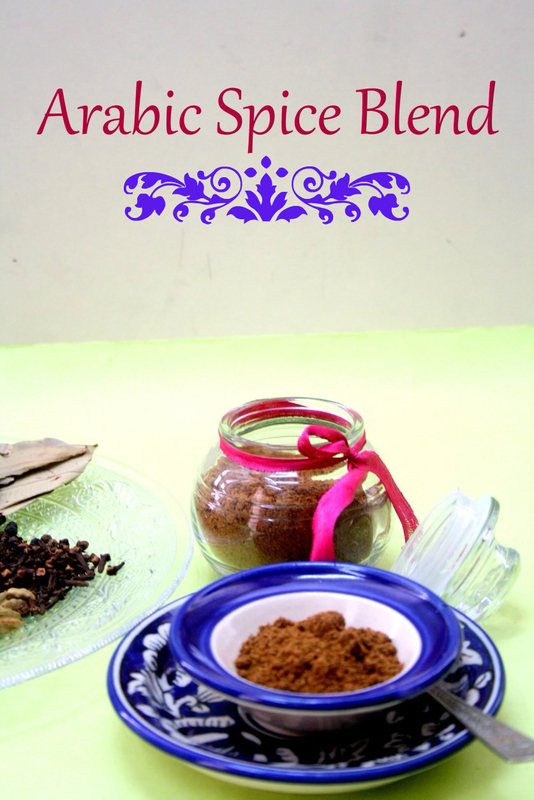 I know because it is something we regularly make and it tasted much better because of this garam masala. I then searched net to see if I could get some clues. I realized this is not Baharat, the Middle Eastern Spice Blend. I was so tempted to assume this to be that spice. 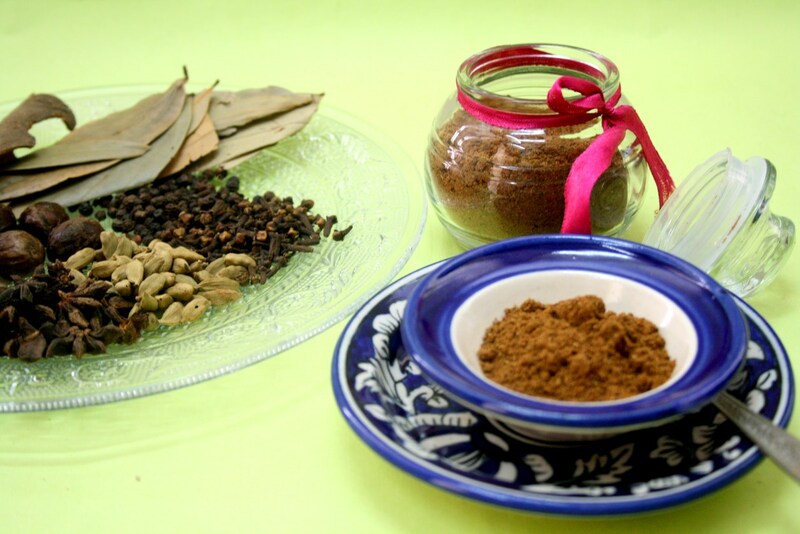 While the ingredients for a Baharat sounded similar, it was still different. I then read in some sites which said that apart from known spice mixes, there are so many local mixes that are popular locally and have not traveled to outside world. Name or no Name, I am sticking to my Garam Masala. I have always been so passionate about spice mixes and this one excited me so much. We ground one packet and have frozen the other. And using it in all dishes as much as possible. This spice mix didn’t have chilies. It has peppercorns and what I assume the Allspice. I always avoid using powered Star Anise as it tends to become very pungent. However after grinding along with the rest in this garam masala, we couldn’t find it so overpowering. Again you can dry roast the spices or grind it as such. Freeze for preserving the aroma for longer shelf life. Since I was on an experimenting mood and was also working on something else, I ended up clicking so many shots and couldn’t but share some of it. This makes a great gift, so it was all packed with ribbons around. Dry the spices on a plate. Grate the nutmeg and then grind all the spices together to a fine powder. Store in an airtight container in the freezer and remove when you want to use. I measured each ingredients in scale. I can smell the aroma of all spice powder. Even I find star anise over powering the food & always avoid it. love the aroma of this garam masala!!! love the cute jar!! Even my friend gets me a spice mix similar to this from Dubai…but that has a bit of turmeric too…even that doesn't have any name and we call it Garam masala???? Even I use to buy this masala powder when I was in Abudhabi. I use to add this to potato kurma. After I cam back to India totally forgot about this thanks for reminding me Valli, I can imagine the aroma.. I like the aroma of star anise and nutmeg.Looks flavorful. Can smell the aroma of this spice mix from here, interesting and definitely am gonna give a try. Wonderful blend , The blue plate and bowl looks so beautiful!!! Nice clicks and as u said they make a great gift! A flavorful blend of spices. Very flavorful spice powder, Valli. I wasn't aware that all spice is available in India. Harini I am not sure if Allspice is available in India. I got this whole spice packet from Dudai. 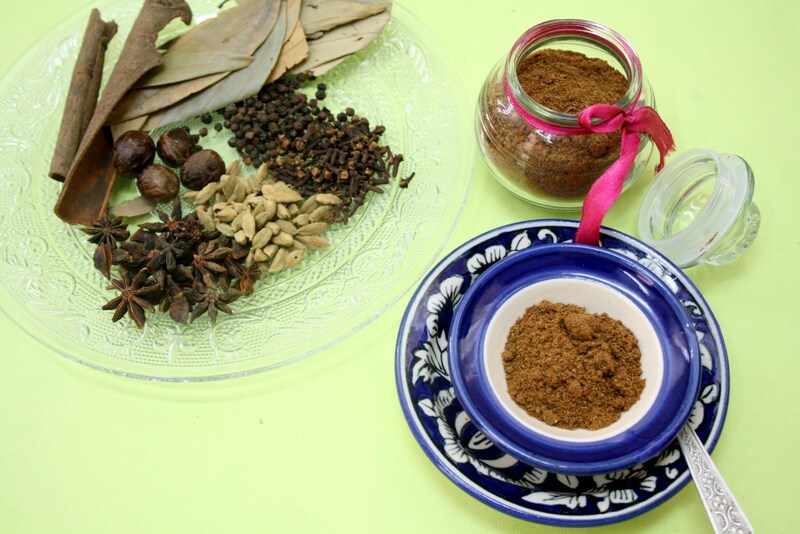 What a delicious and flavorful spice blend Valli. That is one flavorful spice mix. Love that cup and plate. That is one aromatic blend! 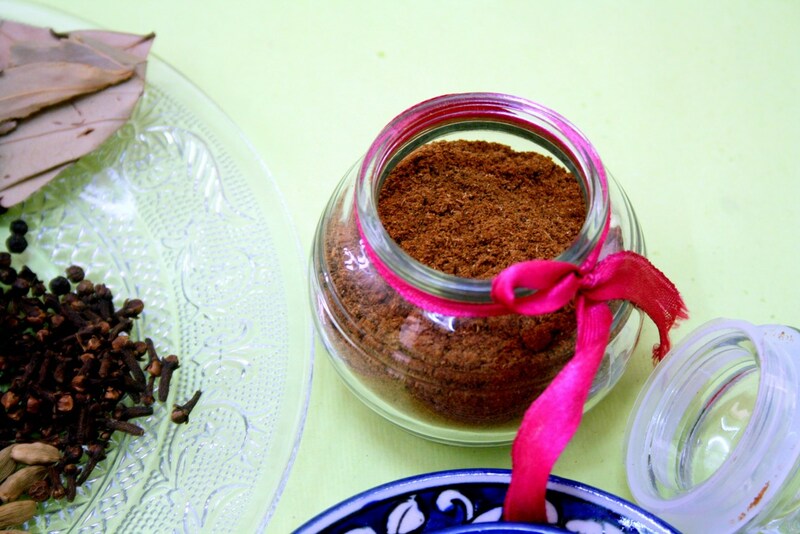 I have a pack of alspice powder,was looking for ways to use it up.This one is perfect!